Fun in the sun, poolside in Melbourne. I won a competition from Dressed Up and received this beautiful Camilla dress for a weekend getaway. 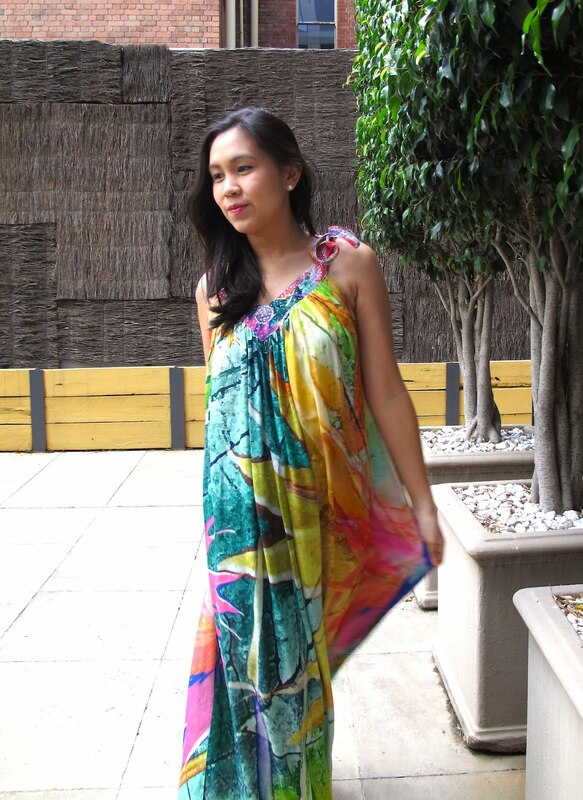 Camilla's the resort queen and that's exactly how I felt in this playful and bold print maxi. Dressed Up's site is such a neat idea, no need to buy those expensive special event dresses which you know you'll only wear once. You can burrow the dress for a fraction of the RRP cost and look equally fabulous! Plus they've opened up a showroom in Sydney if you don't like ordering straight from their online store, win win situation. This dress has such gourgeous colours! Congratulations for winning the competition. Oh nooooo!! I am so sad that the NCLA Hi-fi stereo is not in stock anymore. I really love that print!! you look gorgeous in that dress! all the bright colours are perfect for the sunny summer (I wish we had one here in Estonia though). lovely dress..nice photos! !thank you for visiting my blog dear!! Bautiful prints. This dress is so pretty. awesome blog ! keep on the good work ! wow wow wow!! so resort! love the print and vibrant colors on you! The tie straps are a nice detail! Now you just need a cabana and a refreshing beverage!